Since the beginning of time there have always been beautiful women that have taken us aback by their beauty and strength. Helen of Troy, the face that launched a thousand ships. What did her face entail? Luscious Lips? Golden locks? Striking cheek bones? A body to kill for? The same could be said of Cleopatra, and Nefertiti. I wonder what their beauty consisted of and if it would be relevant to what we think is a beautiful woman today. Without pictures to look back on, we can only use our imaginations and the descriptions provided by the authors of the day. Aesthetic beauty although superficial is what many care about in today’s day in age and both sexes are equally guilty of this. Many times before we decide if we even like a man or a woman we criticize and judge their appearance before giving that person a chance. This is true of friendships, love affairs and everything in between. Beauty truly gives you the upperhand in the game of life. Before you send me any nasty emails remember that women are just as guilty of this as the men with their discerning eye and attention to detail! This site is dedicated to the most beautiful women in the world. Sit back and enjoy our picks. These are women that captivate and intrigue us, making us curious about their private lives behind the lens. Is an Israeli born talented actress and model. She served in the IDF (Military) for two years, and won the Miss Israel title in 2004. 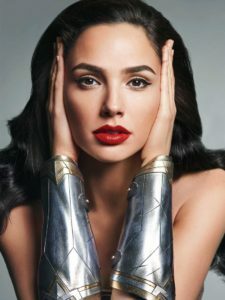 Read more on Gal Gadot view her gallery. On our list of most beautiful women, we not only consider outside beauty but try to look at the person as a whole by their known actions to causes that they participate in . Olivia Wilde is both a Beautiful Woman and a humanitarian that we admire for her active role in various causes she is passionate about. Read more on Olivia Wilde and see her gallery. is an American actress, model and businesswoman. Believe it or not she was considering being a nun at one point. We are glad she didn’t. She is originally from Miami. People magazine named her one of 2012’s Most Beautiful at Every Age. Read more about Eva Mendes and view the gallery. is a Polish American model, actress and animal rights activist. She is mostly known for her appearances on the reality television shows Dancing with the Stars, Top Model, and The Real Housewives of Miami. She was named the Sexiest Swimsuit Model in the World. Maxim named her #55 in its 2011 Hot 100 ranking of the world’s hottest women. Read more on Joanna Krupa and see her gallery. Is a talented actress model and singer she is a Hollywood wonder that has us all admiring her as being a member of the most beautiful women club. She is from New York and comes from a rather large family. Read more on Scarlett Johansson view her gallery. Is an Indian actress, model and the winner of the Miss World 1994 pageant. She is one the most popular and influential celebrities in India. She is often referred to as the “most beautiful woman in the world”. One has to but take one look at her and you can see that she is clearly a star. She was crowned Miss World 1994. Read more on Aishwarya Rai and see her gallery. Is a Russian model. She became the exclusive contracted face of Intimissimi lingerie in 2007 and made her first appearance in the Sports Illustrated Swimsuit Issue. Models.com ranks her at No. 8 in the world, for her social media following. We rank her as one of the most beautiful women. Read more and view the gallery for Irina Shayk. Is an American-British model. She began her career at the age of 16. She is a Victoria’s Secret Angel since 2009. Appeared in the 50th anniversary of Sports Illustrated Swimsuit Issue model, has also appeared in several music videos. She grew up in a fashion-oriented family. Read more on Lily Aldridge a truly beautiful woman in both looks and as a person. She is a Chinese actress and model. She is considered the most well-known Asian actress in the West. She is one of the most beautiful women, not because we say so but the world clearly agrees. She has been named on many lists as the hottest, sexiest and most beautiful women. Read more on Zhang Ziyi a beautiful woman.